Born in North London in 1945, Rod enjoyed the usual flurry of teenage jobs before trying his hand at skiffle and rock and roll with his early band The Raiders who got as far as a Joe Meek session and no further. The Bohemian lifestyle and a support for the CND movement took Rod round the country and he hung round with the future Kinks before becoming a very early adherent of Mod. The spiky rooster hairstyle came in 1964 just as he was eschewing British folk for US soul and R&B. Having discovered Otis Redding and Sam Cooke, Rod began performing on the London club scene where there was always a stack of well-paid work. He parachuted through various bands before joining the Long John Baldry set-up, made demos for Decca Records and then fronted Steampacket, a fine band featuring his future drummer Mickey ‘the Wallop’ Waller as well as Brian Auger and Julie Driscoll. Then to Shotgun Express, where he played next to Mick Fleetwood and Peter Green, and finally Jeff Beck’s Group, post-Yardbirds, where he graced Truth and Beck-Ola. Despite a decent working relationship with Beck, Rod felt the need to try his solo hand out. His debut was recorded in 1968 but not released for a year by which time Rod was lead singer of the Faces with his old pal Ron Wood swapping Beck’s bass for lead guitar and lining up next to Kenney Jones, Ian McLagan and Ronnie Lane, all of whom would appear on choice cuts on his albums. An Old Raincoat Won’t Ever Let You Down (known in the US and on catalogue now as The Rod Stewart Album) was a tentative step into the dark. 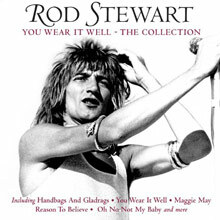 Rod’s trademark rasp and flamboyant delivery are audible from the off as he swings into a fine version of the Rolling Stones’ “Street Fighting Man”, embraces the gentler ballad folk of Mike D’Abo’s “Handbags and Gladrags”, gets inside Ewan MacColl’s “Dirty Old Town” and tries his hand at song writing to grand effect on “Cindy’s Lament” and “I Wouldn’t Ever Change a Thing”. Teeth cut, the follow-up, Gasoline Alley, hones this clever mix and match approach with songs from the greats – Bob Dylan, Bobby Womack, Elton John and old mucker Steve Marriott – with ever more confident Stewart gems like “Jo’s Lament” and “Lady Day”. On this album Rod calls in the acoustic and electric guitarist Martin Quittenton, who will prove a creative foil, while all the Faces join in as do Waller on drums and the pianist Pete Sears. A five star disc for sure but Stewart being notoriously worrisome feared that might be it for him – his gasoline run out. In fact the next album, Every Picture Tells a Story went to number one in Britain and America. Everything about this disc reeks come and get me! It’s just about perfection with Rod on top form surrounded at Morgan Studios by ace engineers and the most sympathetic players in town. “Maggie May”, penned in North London with Quittenton, must be one of the most famous rootsy rockers ever written while Rod’s version of Tim Hardin’s “Reason to Believe” is sublime. There’s a Bob Dylan outtake – “Tomorrow Is a Long Time” – some Elvis, and Rod’s own stamp is all over the magnificent title track and the elegiac “Mandolin Wind”. This is totally recommended. Every collection benefits from a bit of Story. The ensuing Never a Dull Moment and Smiler are just as charming and you can find them on the ever so handy Reason to Believe: The Complete Mercury Studio Recordings, a terrific stand-alone 3CD package that is remastered and includes everything available to that date plus singles and unreleased material. Alternately raw, as on “Twistin’ The Night Away” or tender and sweet, “You Wear It Well”, this bumper set is a terrific way to play Rod catch up and get yourself a musical education. Mr. Stewart returns to our manor for 2013’s Time album. Here you’ll be delighted to hear the man back on top form, especially during the co-write with Jim Cregan, “Brighton Beach”, and on one of his sundry Tom Waits covers, here it’s “Picture in a Frame”. 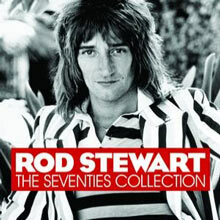 Now, amongst our compilations and anthologies we also have The Best of Rod Stewart and The Best of Rod Stewart Vol.2, the nifty The Very Best of…, Gold, Angel – The Love Songs, the self-explanatory The Seventies Collection, the ever so punchy Classic, the booklet version of You Wear It Well and the vintage The Very Best Of Rod Stewart. 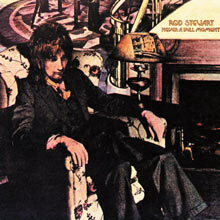 A personal favourite is the man’s Rarities disc since that includes alternate versions and BBC sessions of “Maggie May” and “Country Comfort” with the Faces, hard to find B-sides and hints at Rod’s future developing love for standards and country music, all accomplished with his own inimitable twist of course. Something for everybody here – all tastes and all wallets. You can be completist – we’d love you to be – or you can duck and dive amongst the tracks that made Rod Stewart famous. He’s pretty much a national treasure these days but we love to hear him starting out on that long journey towards superstardom. If this is nostalgia, bring it on. Sing it again Rod. Without greatly altering his approach, Rod Stewart perfected his blend of hard rock, folk, and blues on his masterpiece, Every Picture Tells a Story. Marginally a harder-rocking album than Gasoline Alley -- the Faces blister on the Temptations cover "(I Know I'm) Losing You," and the acoustic title track goes into hyper-drive with Mick Waller's primitive drumming -- the great triumph of Every Picture Tells a Story lies in its content. Every song on the album, whether it's a cover or original, is a gem, combining to form a romantic, earthy portrait of a young man joyously celebrating his young life. Of course, "Maggie May" -- the ornate, ringing ode about a seduction from an older woman -- is the centerpiece, but each song, whether it's the devilishly witty title track or the unbearably poignant "Mandolin Wind," has the same appeal. And the covers, including definitive readings of Bob Dylan's "Tomorrow Is Such a Long Time" and Tim Hardin's "Reason to Believe," as well as a rollicking "That's All Right," are equally terrific, bringing new dimension to the songs. It's a beautiful album, one that has the timeless qualities of the best folk, yet one that rocks harder than most pop music -- few rock albums are quite this powerful or this rich. Essentially a harder-rocking reprise of Every Picture Tells a Story, Never a Dull Moment never quite reaches the heights of its predecessor, but it's a wonderful, multi-faceted record in its own right. Opening with the touching, autobiographical rocker "True Blue," which finds Rod Stewart trying to come to grips with his newfound stardom but concluding that he'd "rather be back home," the record is the last of Stewart's series of epic fusions of hard rock and folk. It's possible to hear Stewart go for superstardom with the hard-rocking kick and fat electric guitars of the album, but the songs still cut to the core. "You Wear It Well" is a "Maggie May" rewrite on the surface, but it develops into a touching song about being emotionally inarticulate. Similarly, "Lost Paraguayos" is funny, driving folk-rock, and it's hard not to be swept away when the Stonesy hard rocker "Italian Girls" soars into a mandolin-driven coda. The covers -- whether a soulful reading of Jimi Hendrix's "Angel," an empathetic version of Dylan's "Mama, You Been on My Mind," or a stunning interpretation of Etta James' "I'd Rather Go Blind" -- are equally effective, making Never a Dull Moment a masterful record. He never got quite this good ever again. Gasoline Alley follows the same formula of Rod Stewart's first album, intercutting contemporary covers with slightly older rock & roll and folk classics and originals written in the same vein. The difference is in execution. Stewart sounds more confident, claiming Elton John's "Country Comfort," the Small Faces' "My Way of Giving," and the Rolling Stones' version of "It's All Over Now" with a ragged, laddish charm. 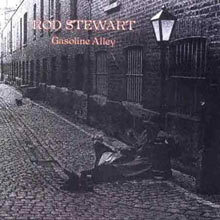 Like its predecessor, nearly all of Gasoline Alley is played on acoustic instruments -- Stewart treats rock & roll songs like folk songs, reinterpreting them in individual, unpredictable ways. For instance, "It's All Over Now" becomes a shambling, loose-limbed ramble instead of a tight R&B/blues groove, and "Cut Across Shorty" is based around a howling, Mideastern violin instead of a rockabilly riff. Of course, being a rocker at heart, Stewart doesn't let these songs become limp acoustic numbers -- these rock harder than any fuzz-guitar workout. The drums crash and bang, the acoustic guitars are pounded with a vengeance -- it's a wild, careening sound that is positively joyous with its abandon. And on the slow songs, Stewart is nuanced and affecting -- his interpretation of Bob Dylan's "Only a Hobo" is one of the finest Dylan covers, while the original title track is a vivid, loving tribute to his adolescence. And that spirit is carried throughout Gasoline Alley. It's an album that celebrates tradition while moving it into the present and never once does it disown the past. Technically, the 24 tracks that show up on Universal's 2013 double-disc collection Rarities are indeed rarities, as they never showed up on any Rod Stewart LP, but that doesn't mean they're all that hard to find. 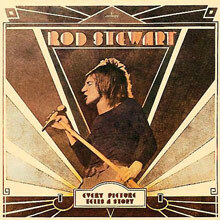 Stewart's Mercury recordings have been anthologized many times, most notably on the 2002 triple-disc set The Complete Mercury Studio Recordings, and he also had an exhaustive four-disc outtakes box called The Rod Stewart Sessions 1971-1998 released in 2009, whose first 12 tracks were devoted to Mercury-era cuts. These 12 tracks -- including alternate takes on "Maggie May," "Seems Like a Long Time," "Italian Girls," "You Wear It Well," "Lost Paraguayos," "I'd Rather Go Blind," and "Angel," along with early versions of "Mystify Me" (here called "Think I'll Pack My Bags") and "Farewell" -- account for half of Rarities, with the rest devoted to the odds and sods that have appeared on 1992's The Mercury Anthology and the exhaustive 2002 set: the single version of "It's All Over Now," "Pinball Wizard" from the Tommy soundtrack, "Oh! No Not My Baby," "Jodie," "Missed You," "You Put Something Better Inside Me," "Crying Laughing Loving Lying," "Every Time We Say Goodbye," and "So Tired." This leaves only two genuine hard-to-find rarities in BBC versions of "Country Comfort" and "Maggie May," strong items both but perhaps not enough for the Rod fan who has either the 2002 Complete collection, as that is where all the real keepers here also reside. 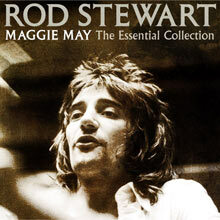 As interesting as it is to hear Stewart work out "Maggie May" (original lyric: "I don't mean to tell ya/That you look like a fella") and "You Wear It Well," the gems on Rarities are the ragged, low-key groove of "Jodie," the soulful "Oh! No Not My Baby," the rolling folk-pop of "Crying Laughing Loving Lying," items that are of a piece with what made it onto the official albums. Once, they were easiest to hear on Reason to Believe: The Complete Mercury Studio Recordings, but that is a relic of the peak CD age. This helps keep worthwhile Stewart oddities in circulation during the digital era and that's necessary indeed. Once he became a superstar, Rod Stewart essentially gave up on songwriting because, let's face it, it's easier to play endless football and cavort with models. Every once in a while his muse returned, so he tried a little bit harder, such as in 1988 when he spun Bob Dylan's "Forever Young" into a song of his own, which wound up as the last hit single of his that he ever wrote. After that, he floated through the '90s before finding a comfortable groove as an old-fashioned crooner in the new millennium, spending no less than a full decade revisiting songs from the Great American Songbook. Authoring his memoir -- simply titled Rod: The Autobiography -- jostled something within the old boy and he picked up his guitar once again, writing songs about his past and present. Hearing that Stewart strapped on a guitar suggests that perhaps he's returned to the well-weathered folk-rock of his earliest solo albums and, certainly, parts of Time -- the 2013 album that has his greatest concentration of originals in a quarter century -- flirt with folk. Appropriately, these are the songs where Rod is besotted with the past, offering what amounts to a capsule synopsis of his memoir on "Can't Stop Me Now," revisiting his early pre-fame days as a busker on "Brighton Beach," then telling us all to "Love the life you live/Live the life you love," a sentiment that manages to not be the stickiest thing here thanks to a wealth of love songs to his third wife, Penny. Stewart's overwhelming devotion certainly seems sincere -- it's a common thread that ties Time to Rod: The Autobiography, which had a running theme of how he was saved by the love of a good woman -- but it's also quite drippy, not helped by his decision to thread in elements of the Vegas schmaltz of his Great American Songbook ("Picture in a Frame") within what's essentially his revival of the glassy adult contemporary pulse of his Out of Order/Vagabond Heart days. At this point, after years of synthesized soft rock and glad-handed standards, this is a reflection of who Rod Stewart is in 2013: he is still a crowd-pleaser, still a bit of a sap, ready to romanticize days gone by but wanting to sound modern. As such, Time winds up a bit muddled, swinging from moments of genuine sweetness toward sharp saccharine, but even with all its flaws it's nice to hear Stewart engaged again, both as a writer and a singer. 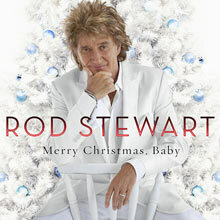 Hard as it may be to believe, but Rod Stewart has gotten through five decades without succumbing to a holiday album. That streak ends in 2012 with the release of Merry Christmas, Baby, an easygoing and chipper collection of secular seasonal standards. A couple of carols are thrown in for good measure but these songs -- "Silent Night," "We Three Kings" presented as a duet with Mary J. Blige -- along with a mildly incongruous "When You Wish Upon a Star," slide by easily on the mellow big-band swing of the rest of the record. Song for song, Merry Christmas, Baby is very much of a piece with Rod's ongoing Great American Songbook series, with Stewart not straying from the familiar form of these songs and producer David Foster laying on all manner of soft, soothing sounds, whether it's acoustic guitars, synthesizers, strings, or a children's choir on "Silent Night." Very rarely does this hint at the Rod of the '70s -- and when it does on the closing "Auld Lang Syne," its intro given a spare folky treatment reminiscent of his Mercury work, it's a bracing, effective reminder of Stewart's skill as a singer -- and instead relies on a gladhanding charm that suits the season, not to mention Stewart in his crooning dotage. This captures Rod's best material and there is even a bonus most people don't know and that is the US single mix of "I Know I'm Losing You". I still have that 45 in my collection. 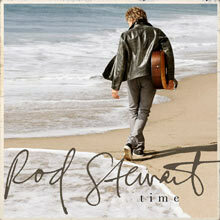 Anyway, if your looking for the songs that made Rod famous, get this one and the price is really good. I got this one from a great friend in the UK who loves Rod even more then I do and this to me bests anything he put out when he switched over to the Warner label. So what are you waiting for, get it! 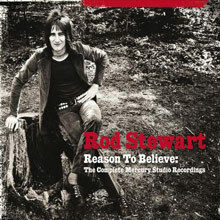 Reason to Believe: The Complete Mercury Studio Recordings rounds up three discs' worth (56 tracks) of primo Rod Stewart, providing listeners with a complete reading of his Mercury period, which lasted from 1969 to 1974. 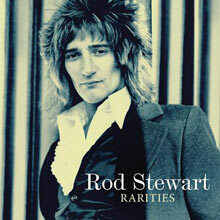 The box set includes the contents of The Rod Stewart Album (1979), Gasoline Alley (1970), Every Picture Tells a Story (1971), Never a Dull Moment (1972), and Smiler (1974) in their entireties, as well as a host of non-album rarities to sweeten the already liberally honeyed pot. There is a Rod Stewart collection for every type of fan. Despite its lazy title, the 19-track Seventies Collection contains some of Stewart's finest country-tinged, pre-overproduced moments, including "Man of Constant Sorrow," "Mandolin Wind," "You Wear It Well," "Maggie Mae," and "Handbags & Gladrags." There are better, more comprehensive anthologies of the era out there like Reason to Believe: The Complete Mercury Studio Recordings, but for someone just looking for a little road trip fix, you would be hard-pressed to beat this little morsel. Listeners who came into the Stewart fold in reverse through his Great American Songbook albums won't know what hit them.